A former Lyme resident, John Lehet has pursued a serious interest in photography his entire life. Focused primarily on one of the town's most cherished natural features, Post Pond, John approaches this imagery as many of us might approach water: as a mirror for our mind. 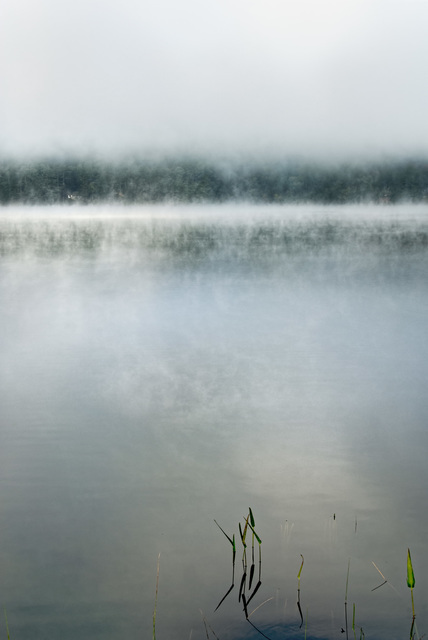 A resident of the Upper Valley nearly his entire adult life, John Lehet focuses in this grouping of photographs on an interest in the image of water as a reflection of our minds. An opening party from 5 - 7pm on Thursday, July 12 will enjoy a joint participation with Upper Valley poet and editor Jim Schley. John and Jim have been friends since they were both students at Dartmouth College together. Matt, Jim, and John are working on a special sharing for that evening, a little presentation and discussion event that features the topic of time and how our minds think of, intersect with, and process the dynamic of time in our mental imaging. John's photographs and a reading of a few of Jim's poems will offer the fodder and form for our discussion.